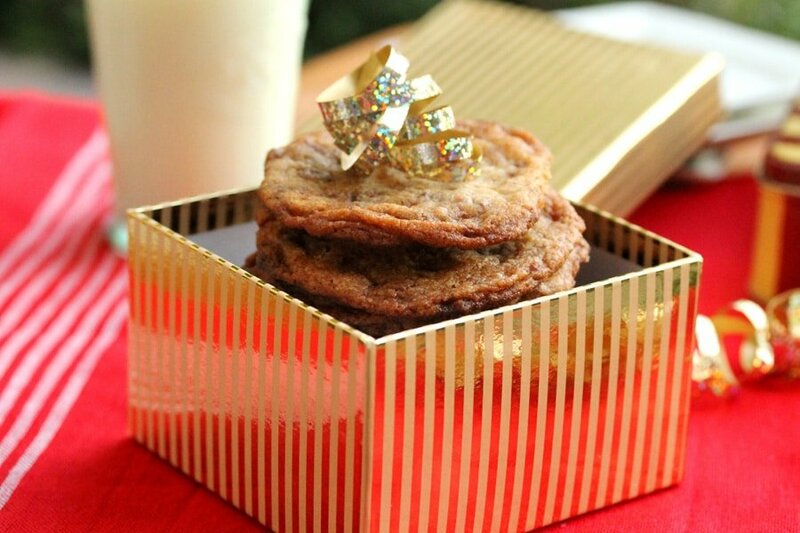 Easy no fuss Holiday favorite recipes. 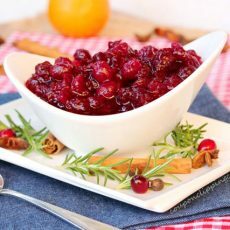 Here are some of the most popular holiday recipes that include main dishes, side dishes and desserts. Sometimes it can get so busy before or during the Holidays that there’s not enough time in the day or night to plan out menu ideas until it’s almost the Holiday itself. And that doesn’t count the time needed to go grocery shopping for the ingredients. 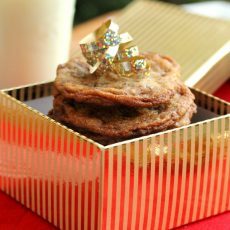 Here’s hoping that these recipes give you ideas and inspiration and that you have plenty of time for cooking and other holiday tasks. Let’s check out these delicious recipes. 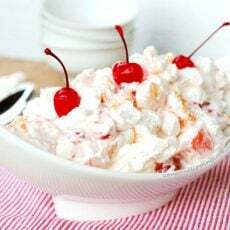 Cherry Pineapple and Mandarin Orange Ambrosia – the best advice I have for making this salad is to make sure that the canned fruit drains….and drains…and drains so that it doesn’t make the salad too wet. The dryer the better. I’ll be eyeing the best deal on turkeys out there. I generally go with the deal where if I spend so much, then I get the turkey for a fixed price or a fairly low per-pound price. And each year I just love to dig for the biggest one so that I can get the most for my money. The turkey purchase will be on my to-do list next weekend. The turkey above is made in a large kettle BBQ. I have a Weber BBQ and this is how I cook the turkey every year. It’s great because cooking time is calculated depending on the weight, and the turkey turns out just like this one every year. The smoky smell is heavenly while it’s cooking too. And the gravy with a little bit of smoky flavor from the juices is out of this world. Garlic Wasabi and Sage Green Beans – green beans with a twist. As for the fresh veggies for my relish tray and things like celery for the stuffing, that’s on the agenda for next weekend too. I just love the deals on veggies like potatoes or celery this time of year. 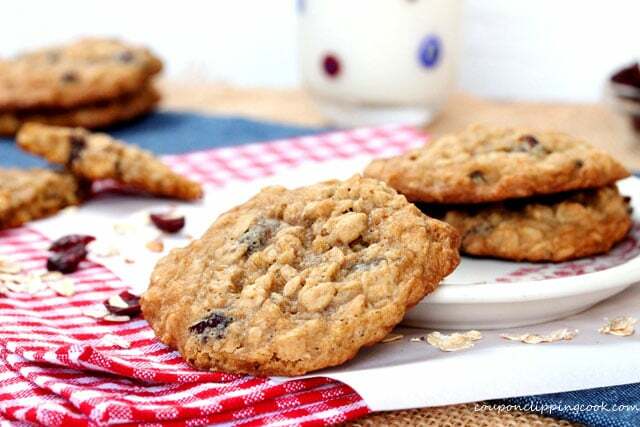 Oatmeal Cranberry Cookies – a holiday spin on oatmeal cookies using dried cranberries. Then there’s the sweets. 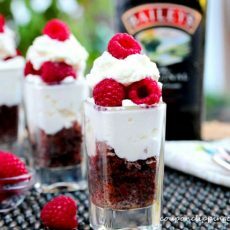 LOVE the sweets. If you’re buying flour or sugar, take a look for coupons on the package that can be peeled off and used at the time of purchase. I just found some peel-off coupons on packages of flour that I bought. The flour was already on sale which made the price even cheaper when using the coupons. Roasted Garlic and Rosemary Mashed Potatoes – made with roasted garlic, rosemary and skin-on potatoes. And on to the mashed potatoes. I love making them with the skin on. It makes the potatoes a bit more hearty and I like the look of it too. These mashed potatoes are made with roasted garlic which couldn’t be any easier to make. If you love garlic, feel free to add another bulb of garlic to the foil when roasting it and add even more than I did in the recipe. Give it a taste test first before adding more garlic and if you end up with any extra roasted garlic, think of the possibilities….you can make garlic bread with it, sauté veggies with it, or even put it in the cavity of your turkey before cooking it. 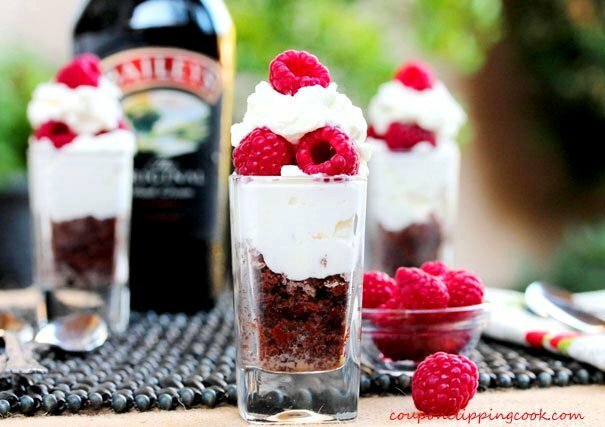 Bailey’s and Chocolate Raspberry Dessert – Bailey’s is a fun and quick way to add holiday flavor to a dessert. 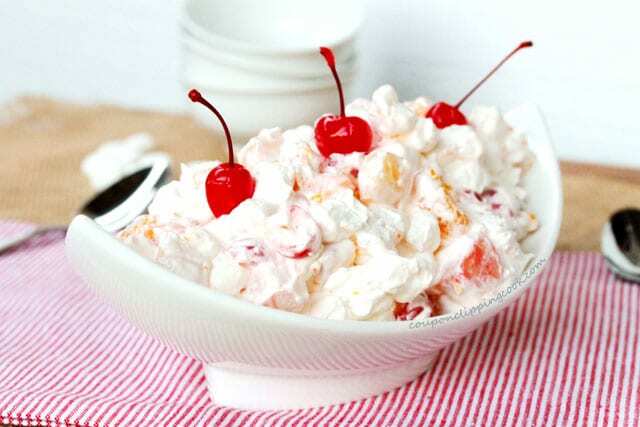 Here’s a super easy dessert that can be made with boxed cake mix. Brussels Sprouts with Olive Oil and Garlic – a quick and easy way to make Brussels sprouts. They look so good when they’re browned just a bit. 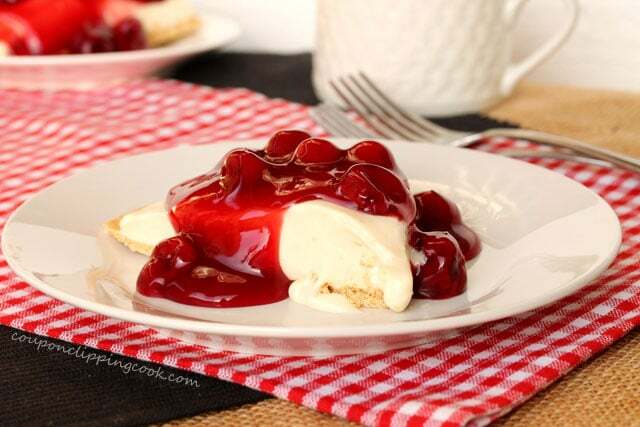 Cherry Cheese Pie – This is my holiday staple dessert. My grandmother when make it during the holidays when I was growing up and now I do too. 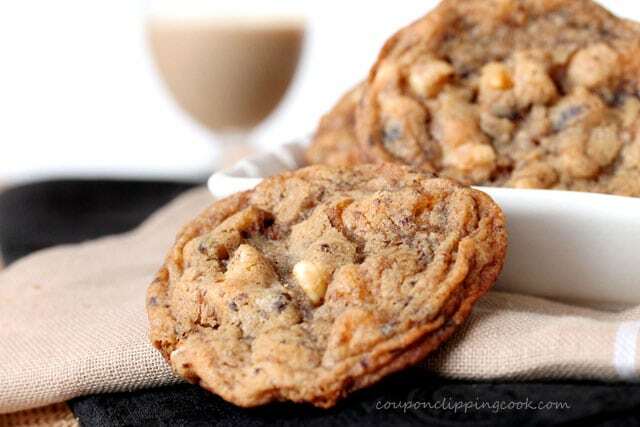 It’s easy, delish, and pretty….a perfect combination. 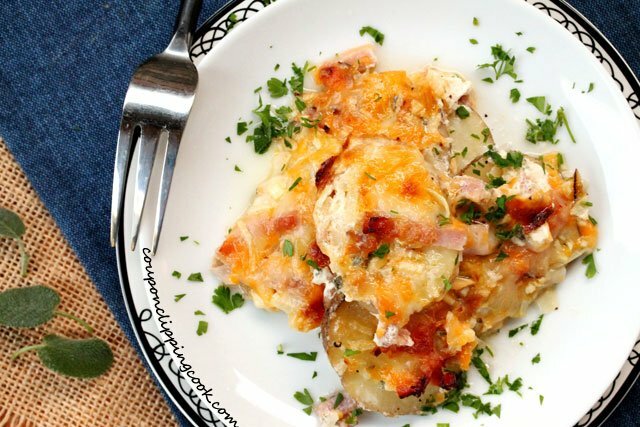 Scalloped Potatoes with Sage and Ham – potatoes, ham, cheese, and a large casserole dish. Perfect for prepping ahead of time. About an hour before dinner time, just pop in the oven, bake, and put a big old serving spoon in it. 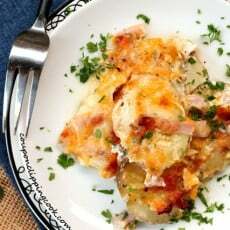 These potatoes smell so good when they’re cooking it will put your guests in a comfort food good mood. 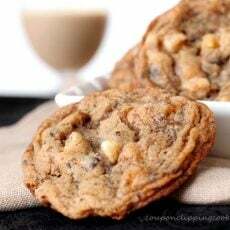 Bailey’s and Coffee White Chocolate Chip Cookies – seriously, these cookies are amazing with a touch of Bailey’s in them. They’re baked just to the point right before being done so that while cooling they harden up a bit. Then they’re nice and soft in the middle with a light crunch on the edges. 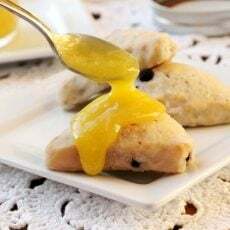 Homemade Sweet and Tangy Lemon Curd – easier than you think to make and is perfect for homemade holiday gifts. 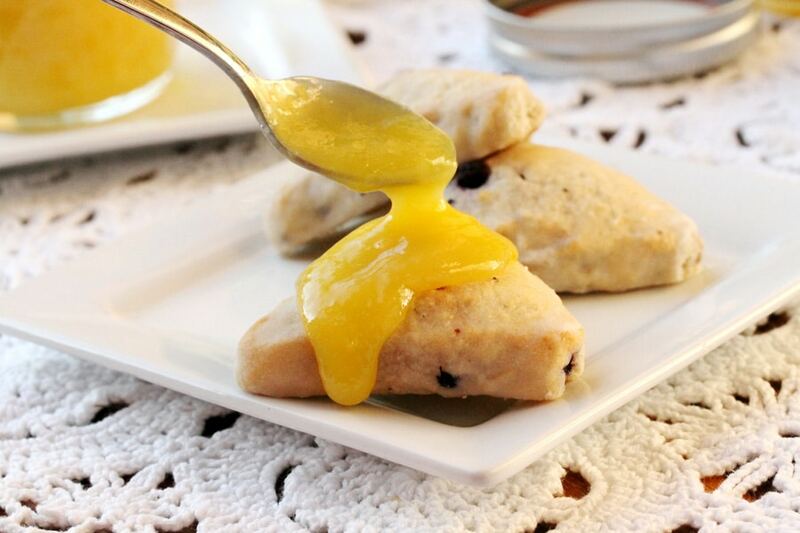 Lemon curd needs to be stored in the fridge and is a real treat on toast or even used as a filling for a pie. Pumpkin Pudding Puffs – the shells are actually made from a frozen package of puff pastry. It’s amazing how these little frozen discs bake and turn into this beautiful puff. For an even smaller dessert, try out the frozen puff pastry cups, they’re adorable when filled and topped with Cool Whip Topping or homemade whipped cream. I like to fill these with the pumpkin pudding mix that comes out this time of year but I’m 100% sure they would taste delish with any flavor of pudding. 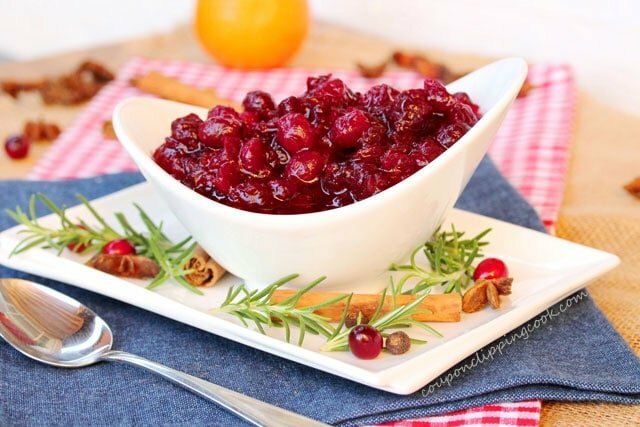 Cranberry Sauce with Orange and Spice – easy to make and such a beautiful addition to a holiday table. 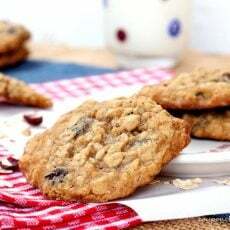 Toffee Cupboard Cookies – slightly chewy in the middle with crispy edges, and toffee bits in every bite. Sage Sausage Stuffing – my stuffing staple. I always use sage sausage in my stuffing. The flavor is wonderful and it’s always a hit. I hope your holiday food shopping goes well and that you find good deals without even looking.